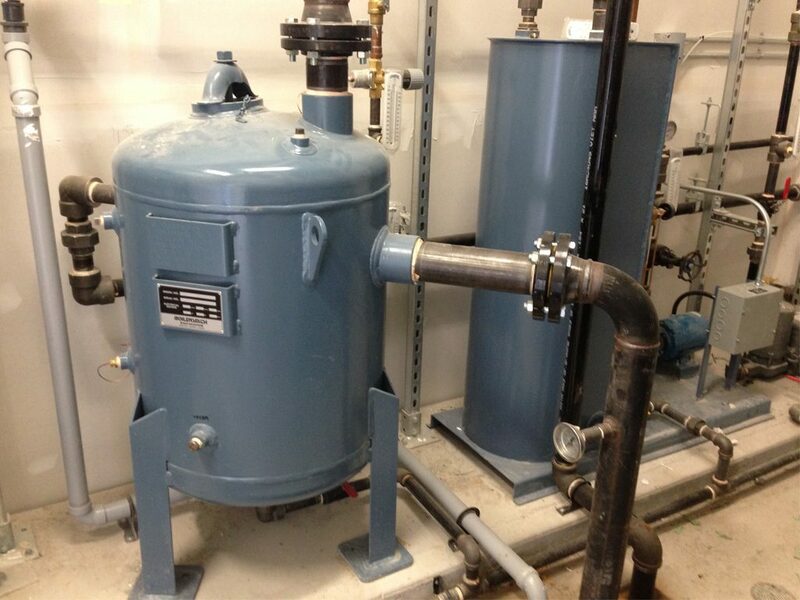 BDT Series – BOILERSMITH LTD.
Blow-off Tanks are used between a boiler and sewer for the purpose of reducing the pressure and temperature of the blow-off substance entering the sewer. An extrememly cost effective solution when compared to temperature controlled, Non-CSA B51, Blowdown separators. Blow-off tanks are designed to CSA B51 ASME Code Section VIII and Provincial Regulations. Data reports are issued. 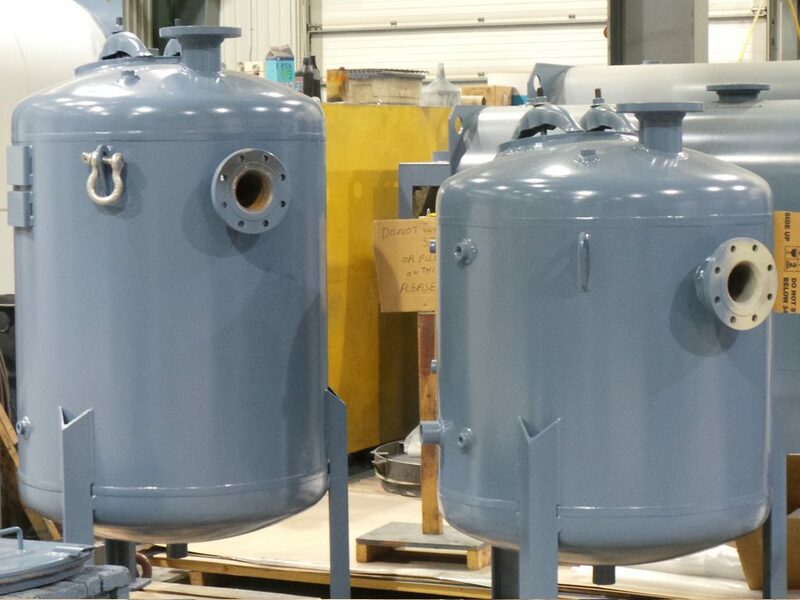 All tanks are hydrostatically tested to one and a half times their design pressure. These tests are viewed by the Inspectors of the Ontario TSSA, and the tanks are stamped to jurisdictional requirements. Tanks are also available in horizontal or custom configurations.